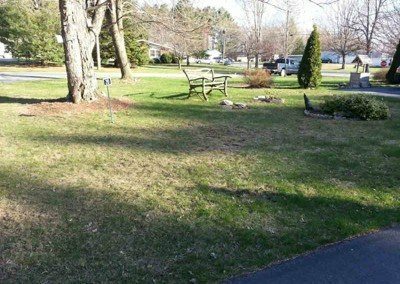 Protect your lawn this year! 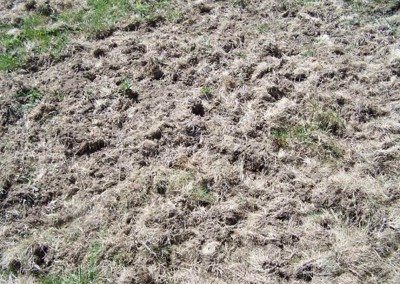 White Grubs show up in well-kept lawns for one reason, to fatten themselves up by eating the roots of your healthy grass. 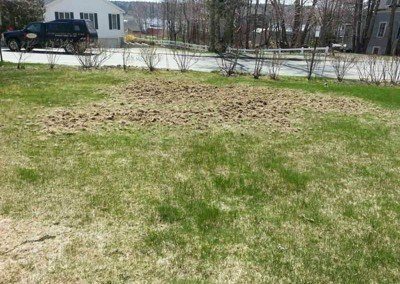 Grubs feed underground and out of sight. 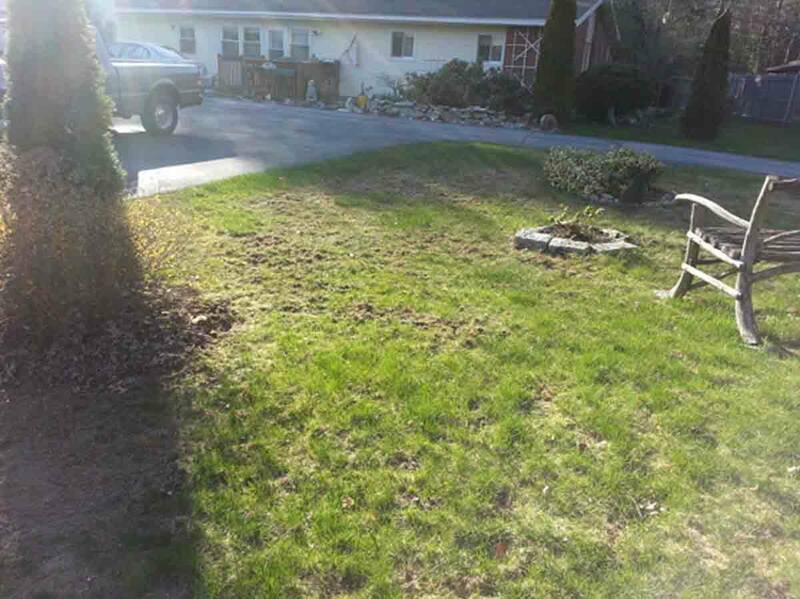 They don’t really care if your grass dies in the process. But we do! 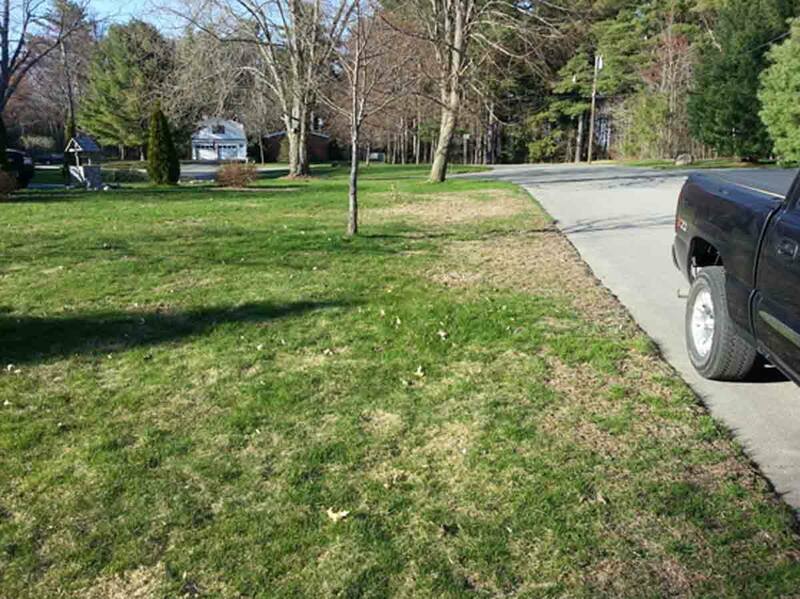 Let us prevent (or stop) these unwelcome dinner guests before they cause severe damage and turf loss on your property. 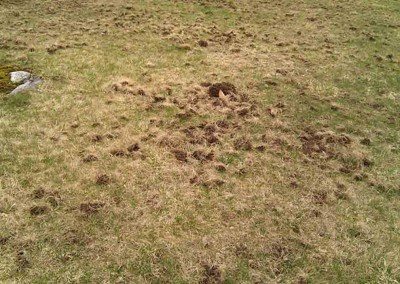 We've created this page to educate you a little on what grubs are, what they look like and why you should be protecting your turf grass. If you have questions you can call our offices at 207-989-1433. 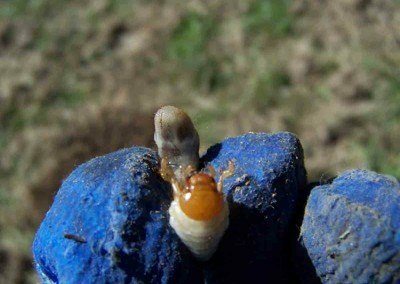 Simply put, grubs are the larval stage of a beetle. Like a butterfly is a Caterpillar before it forms a cocoon, so isn’t a grub before it “pupates” into a beetle. That’s right the “babies” of beetles are grubs. The ones we are talking about are babies of the Japanese beetle, European Chafer, June Beetle, Asiatic Garden Beetle, Oriental Beetle and a few others. Japanese beetles are probably the most familiar to people around our areas. 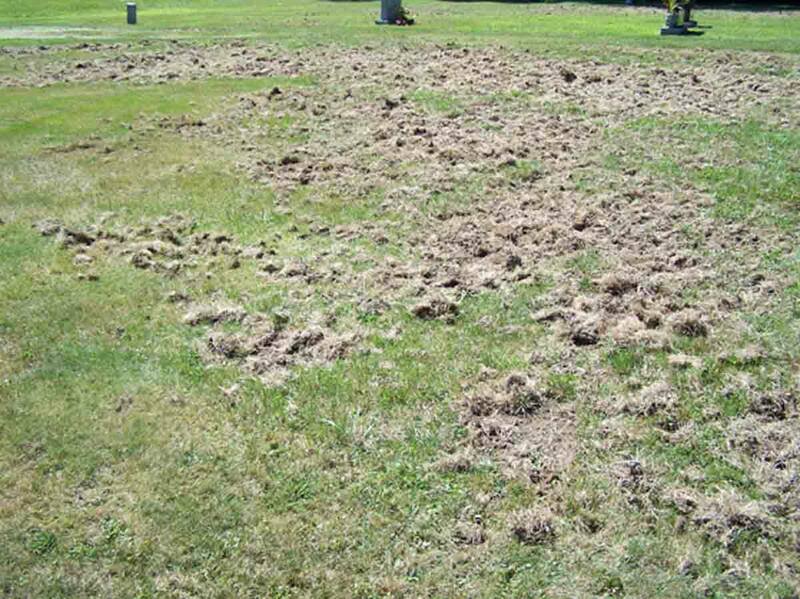 However, as far as turf goes, European Chafers are the most destructive. Japanese beetles eat ornamentals when they are a beetle, mate and lay eggs. June beetles and European Chafers mate in the tree canopies at dusk and in the evening for a few weeks and then lay eggs. They don’t really bother any ornamentals. 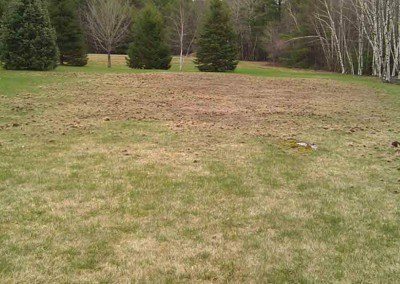 After you uncover them by removing the top layer of grass and soil, you’ll see small “C” shaped grubs. Many people call them caterpillars. However, that is not correct. They are GRUBS or the larval stage of a beetle. They have pinchers on their head which helps them feed on the roots of your grass plants. Typically 6 little legs just behind their head. A long body that leads up to their “raster” or rear end as we all like to call it. Distinguishing between the different species is a little difficult as you need to know the specific pattern on their raster. Also, depending upon the size of the grub will dictate how well you can see the raster pattern. Usually we like to use a magnifying glass of sorts to help with this. 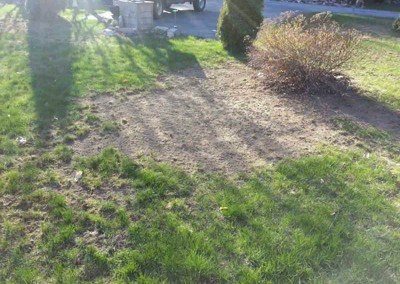 Why should you be protecting your turf? 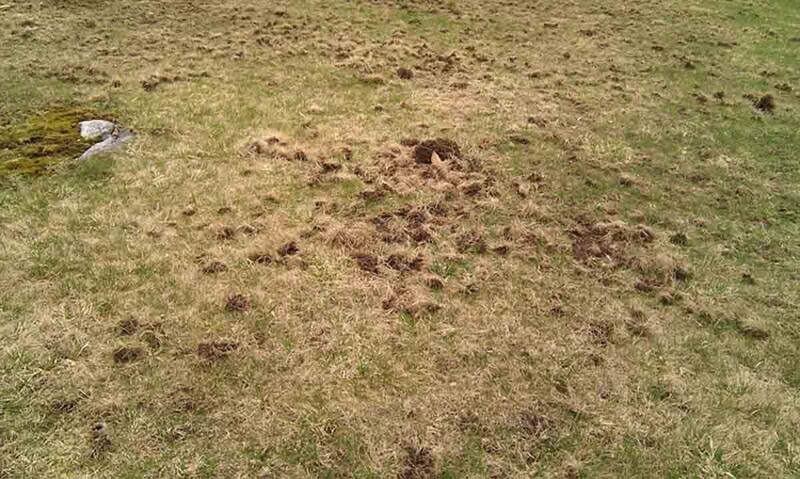 Grub damage isn’t usually visible until rodents move in. That’s right, unless you have a trained eye you probably won’t even notice the signs. 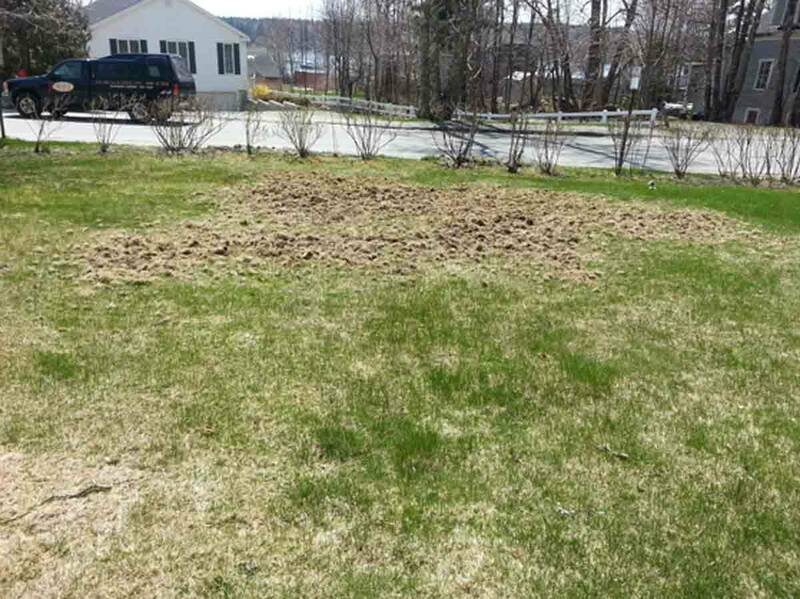 First things first.. Grubs cause damage ONLY in the spring and fall. So that right there tells you when you should be on the lookout. 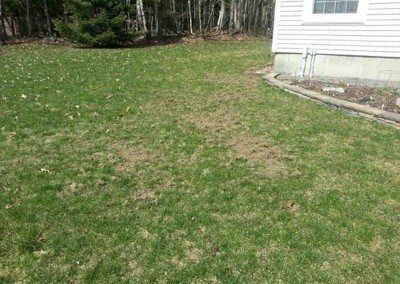 The tell tale signs of grub damage would be to look at your lawn and see if you can find any brown or dead looking areas. 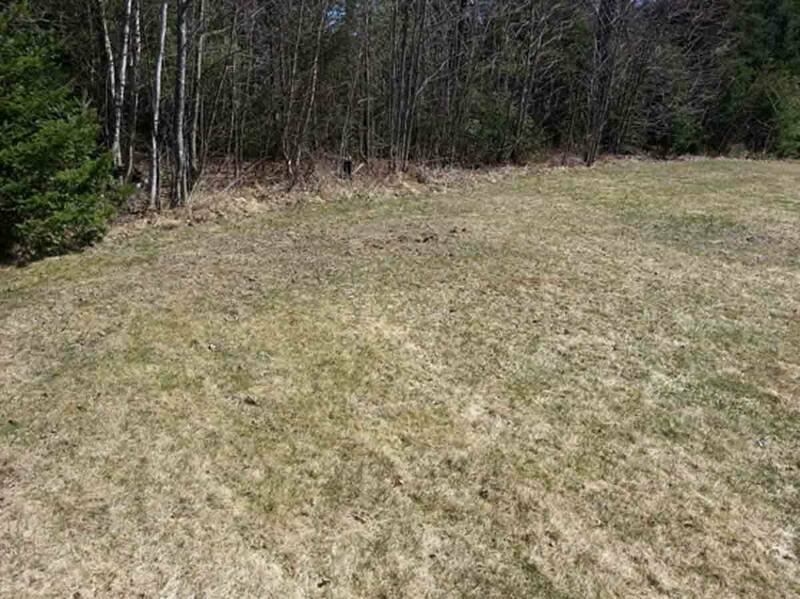 This may be a bit difficult in the spring, because most everything looks brown. 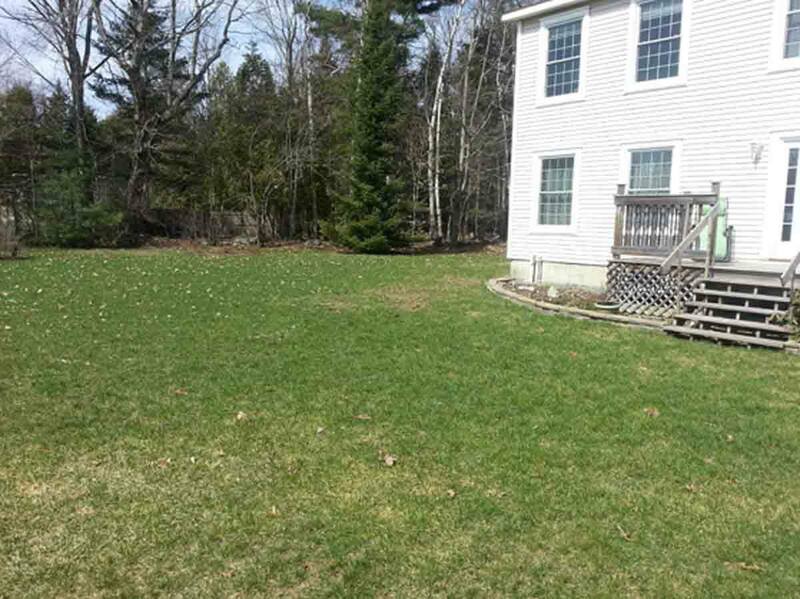 If you see areas that don’t look “consistent”, walk over and clinch the grass in your fist and give a tug. If it appears to be attached to the roots then you “more than likely” are good. However, if it pulls up fairly easily, you may have grubs underneath. 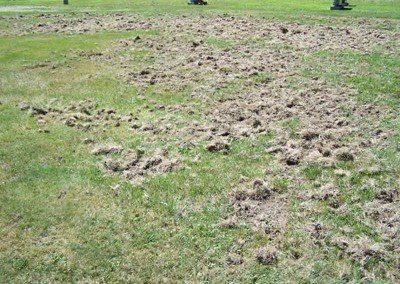 If you are one of the “unfortunate” ones that had damage, didn’t notice it and then the skunks, birds or raccoon’s have moved in, you’re in for a bunch of work to get your lawn back. 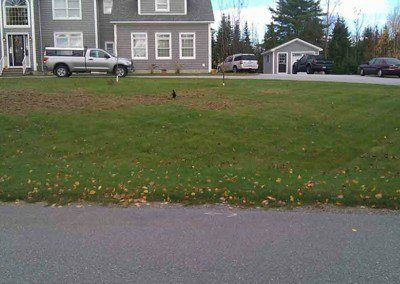 Some areas that had a little damage may recover, while the areas that rodents came in and uncovered will more than likely not recover. You’ll have to decide when to repair if you want to. 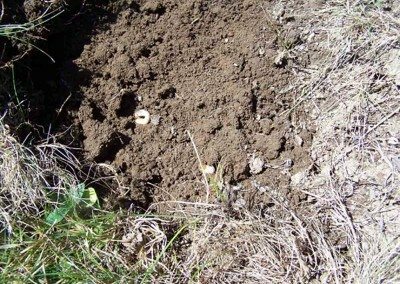 Grubs feed on the roots in the fall and since they overwinter deep underground (to avoid frost) they resurface in the spring to feed and fatten themselves up before pupating and morphing into a beetle. 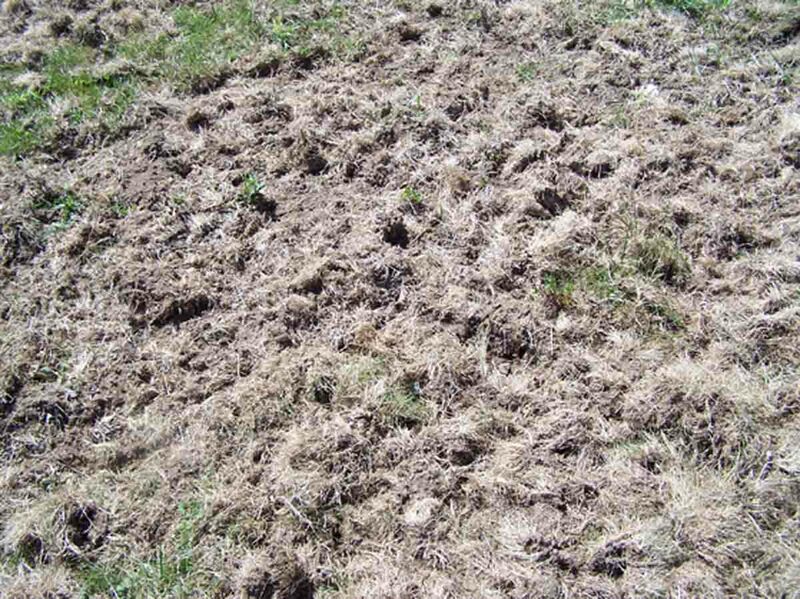 Grub damage will happen in the fall or the spring. 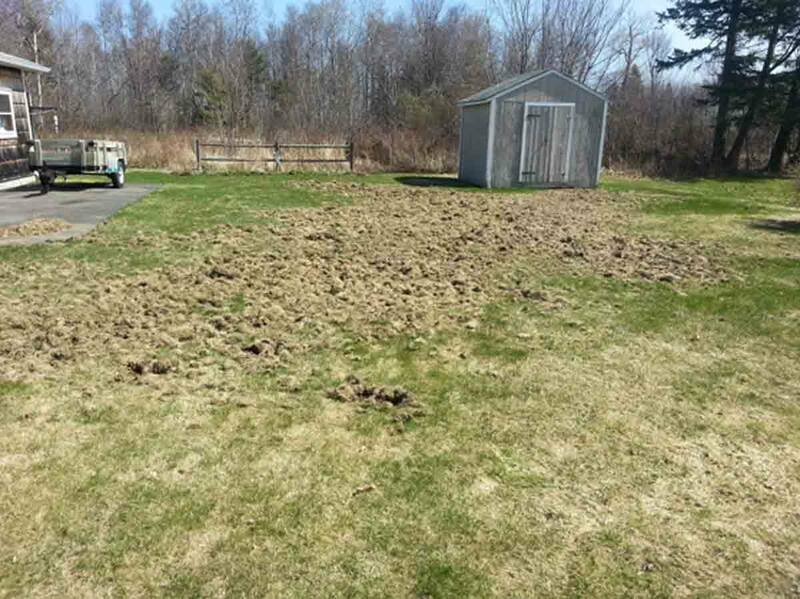 You may not notice it in the fall as the grubs will be smaller in size. In the spring, they are much larger and more prone to rodents coming in an digging for them. 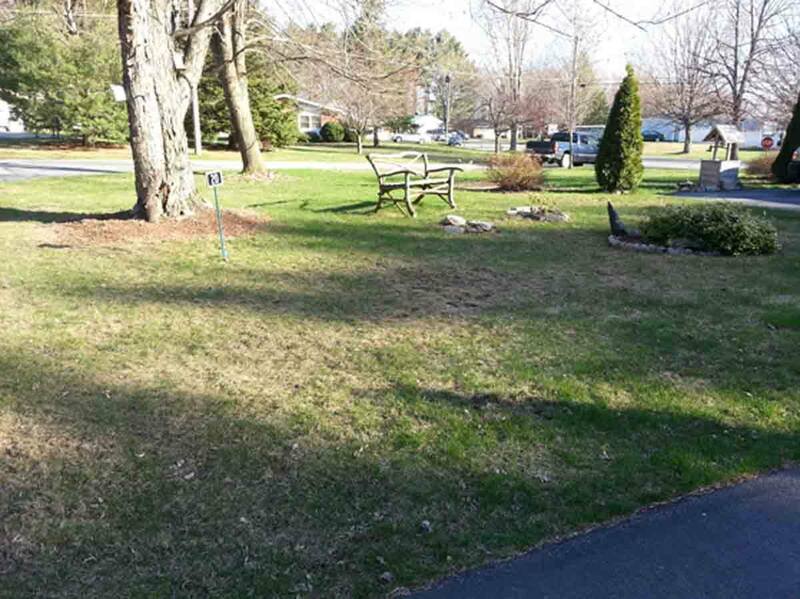 Most folks want to repair their lawns in the spring. 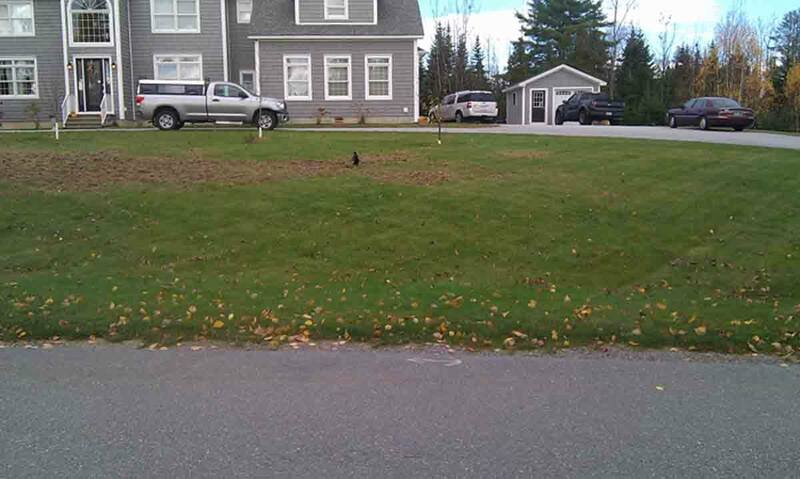 However, fall is the best time to germinate turfgrass, specifically September. If you decide to repair in the spring. Make sure you water it well. Light frequent watering, two to 3 times daily for the first 2 – 3 weeks. 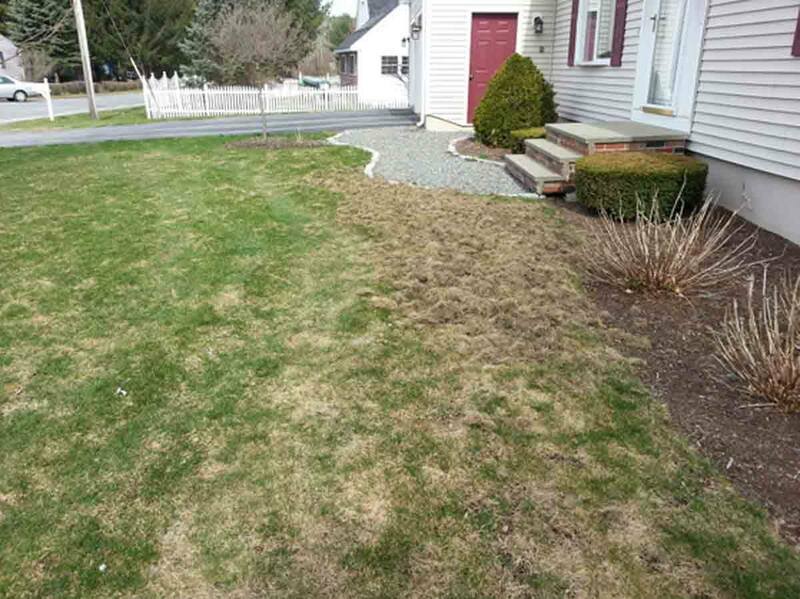 Ensure you’re fertilizing regularly after two mowings. If it doesn’t germinate well in the spring, you’ll have a good chance of crabgrass moving in. If that does then you might as well give up until next year. 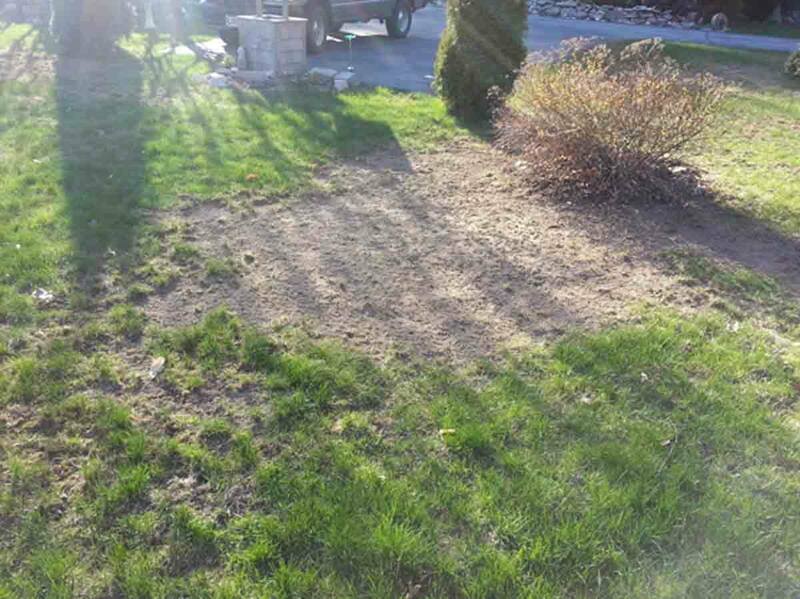 OR protect in the spring with a pre emergent after germination. Confused yet? We could go on about this all day. 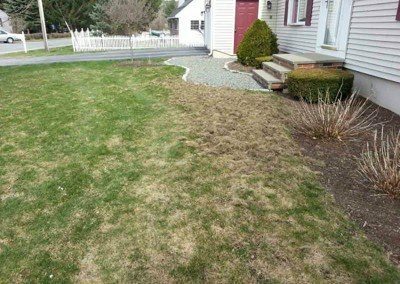 We have seen so many different scenarios where lawns have been destroyed and then customers have tried to repair with minimal success. 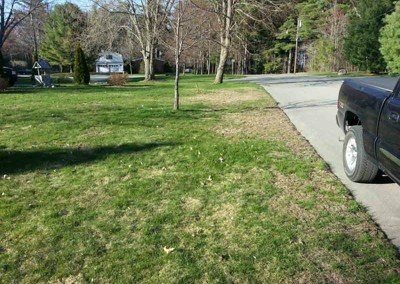 The best thing we can tell you is if you have seen damage in your neighborhood, you SHOULD be protecting your lawn if you care about it. These beetles are here to stay. Each female can lay upwards to 200+ eggs. 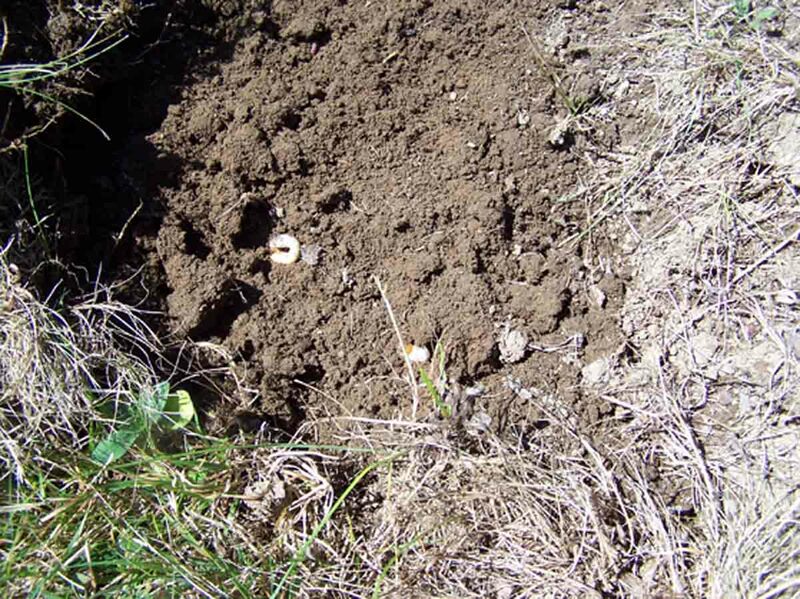 The approximate threshold for European Chafer grubs per square foot is about 3 – 6! 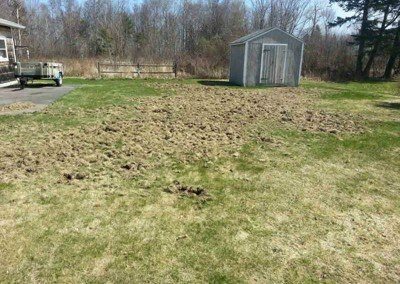 You will only see this type of damage if birds, skunks or raccoon’s have moved in and started to eat the grubs from underground. 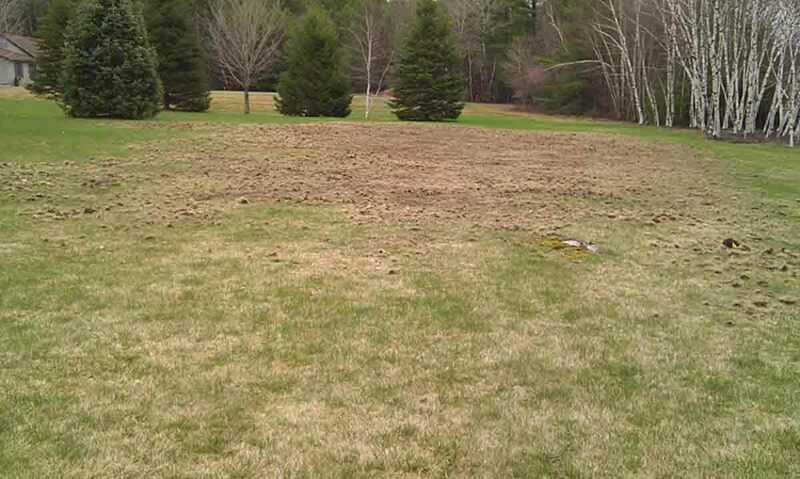 They will dig up the grass on the surface to expose the grubs underneath. Remember, you may not notice this type of damage if the rodents haven’t moved in yet. However, they may still be underneath the surface feeding. 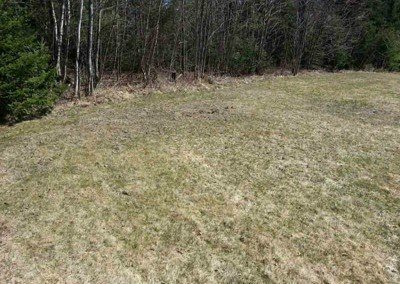 You’ll have to tug on the grass as mentioned above to expose them or at least see if the roots of your turf are still intact.